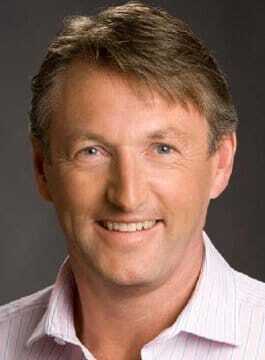 Kevin Gaskell is an International Leadership Speaker, Private Equity Chairman and Entrepreneur. At the age of just 32, Kevin was appointed UK Managing Director of Porsche. At the time, the business was close to bankruptcy. In 1995, he took on the role of Managing Director at Lamborghini GB, where he rebuilt the brand, refocused product strategy and increased the brand’s commercial success. In 1996 Kevin moved to BMW (GB) as Managing Director. He led the business to 4 years of record performance growing sales by 40% and profitability by 500%. After leaving BMW in 2000, Kevin Gaskell was a pioneer in the online sale of cars founding CarsDirect.com (Europe). When the company’s shareholders retrenched to the USA, the team used the opportunity to create Epyx Limited; a business which in only 8 years established it’s 1link platform as the UK’s standard e-commerce solutions to the automotive fleet sector. In 2009, he sold his share of the business to the management team and HgCapital. From 2001 to 2007 Kevin held the position of Group Chief Executive of EurotaxGlass’s AG, Switzerland. With his team he converted an assortment of companies in 31 countries into the global leader in the provision of online data, systems and software to the automotive sector. In 2007 he led a €480 million management buyout before becoming non executive President. He left the company in 2010. Gaskell is the Deputy Chairman of Achilles Group, the global leader in the provision of supply chain data and the winner of the ‘2011 Sunday Times FastTrack’ award for the best private equity performance. He is Chairman of Courland, the global recruitment company, Chairman of Traderoot Technologies a global leader in e-commerce payment systems and Chairman of Dorney Court Walled Garden – a venture reintroducing people to the fun of gardening. In 2014, Kevin was appointed CEO of Fairline Boats – the luxury motor yacht manufacturer. Constantly searching for a new challenge he celebrated his 40th birthday by climbing on Mount Everest and has walked with his son to both the North and South Poles to raise money for Cancer Research. He continues to climb some of the world’s highest mountains and walk to the Poles to raise further funds for the fight against cancer. As a keynote speaker, Kevin Gaskell tailors his presentations to the needs of the audience and the requirements of the organiser. Topics include: Leadership, Team Building, Change Management, Innovation, Turnarounds and Branding. Content is highly topical and pragmatic and based on 25 years experience of managing significant companies and achieving extraordinary results. Great companies are creative and make progress despite, or sometimes due to, difficult environments. Driving change or leading a turnaround is the key challenge for a leader. How does a company ensure it has a clear vision and an aligned team? What steps should a leader take to drive the business onto the next level of success? How can it be fun for everyone involved? What is the job specification of a corporate leader? How can the leader create a positive corporate culture and drive a business to success despite a challenging market? What does a leader need to bring to the role and what can they expect to take from it? How can they achieve extraordinary results, even in difficult times? Fewer than 100 people have walked to both the North and South Poles. Using practical lessons contrasting the experience of walking to the poles with that of driving business success, key messages are discussed and a structured approach to achieving success identified. *This topic can also take the form of 2 x 1 hour sessions where one session focuses on lessons from the polar expeditions whilst the second translates those lessons to the business environment. Great companies build great brands. How are brands developed and how is long term value enhancement achieved? How does the brand’s position within its market segment affect the product perception? Repositioning of the Porsche and BMW brands are used to illustrate the process. Is leaving the EU just another excuse for companies to underperform? “Thank you for the inspirational speech you delivered to open our Google Think! event last week. Your on-stage presence and natural charisma shone through. This coupled with the strength of your content and the clarity of your messages raised the quality of our event from the outset. You injected gravitas, humour and credibility. You played a key role in opening the minds of the audience and getting them to 'Think'! The overall success of the day was in no small part thanks to you. I hope that you would consider speaking again on our behalf at a future opportunity”.